Having a true strategy is one of the seven key elements in assessing your ability to adapt Industry 4.0. The woodworking industry, like all manufacturing industries, is going through major changes. 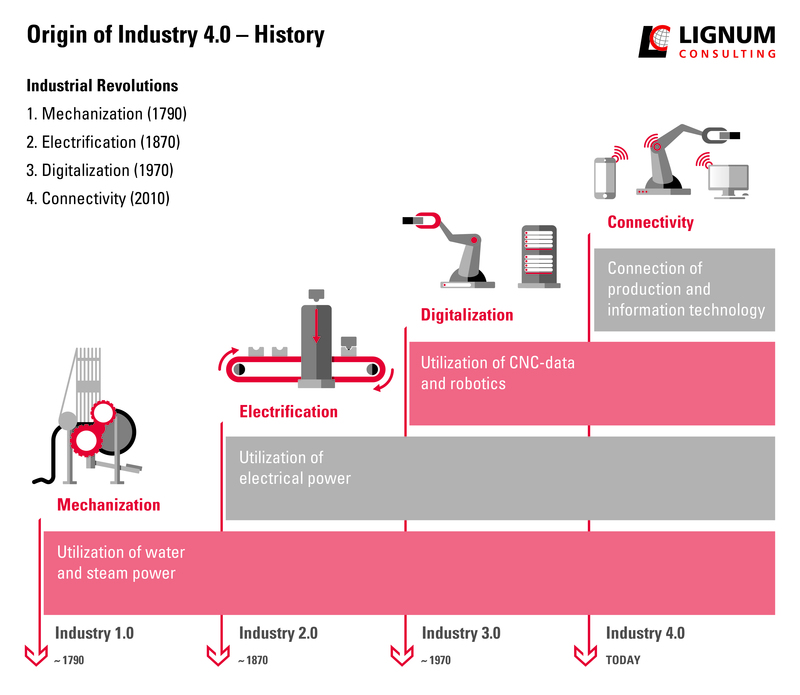 The buzzword - Industry 4.0, the Fourth Industrial Revolution- is used to describe the connected factory. Before Industry 4.0 we had island solutions with very little integration, but now connectivity and integration are key elements. Read Part 1 of this series. We all need to start addressing this subject. This does not mean you need to stop buying machines and need to buy “Industry 4.0”. You need to continue to invest. You cannot buy a “plug and play” version which would fit your existing factory. You could buy equipment and software and the systems integrators will be able to connect the software with the machines, but Industry 4.0 goes further. The full adoption of the Connected Factory will affect all levels and all sectors of the company. The transition to the Connected Factory is unique to each company and needs to be driven by companies themselves. There is information available on Industry 4.0, however, it can sometimes seem conflicting and often seems non-applicable to the challenges we have in the woodworking and furniture industry. Companies need to initiate the subject and learn what Industry 4.0 is all about. As the integration touches all departments within a company, the discussion needs to involve all areas of the company for sustainable solutions. 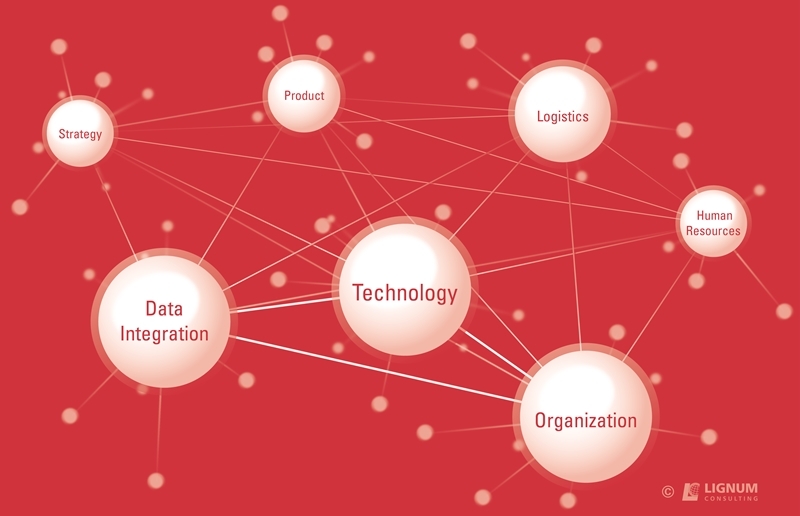 All these seven subjects need to be analyzed, aligned and upgraded toward the Connected Factory. In this article, we will focus on the Strategy only. The other key factors will be addressed in subsequent articles. Are the company objectives defined, documented, and communicated? Does the company have a clear vision and mission defined? Is the daily work aligned with these objectives, or is the vision just lip-service and not followed? In order to create the company of the future, you need defined objectives. You might not have all the details at the beginning, but you need to set a goal. J.F.K’s speech, to land a man to the moon within a decade, is a textbook example of how important a clear vision is. You don’t have ten years to convert your company to the Connected Factory. By then the early adopters will probably have an unsurmountable head-start. As soon as objectives are set, the entire company can, and certainly should convert the objectives to action plans within the entire company, cascading down to all levels. The subject of Industry 4.0 is of such importance that it should be named in the company’s strategic plan. Does the company have clear positioning within the industry market segment? This starts with an understanding of your competitors, their prices, and the quality. The company needs to understand how their own value proposition differs from those of the competitors. By understanding the size of the market or market potential, can the company also establish where the company wants to be in the in the future. Are the products and services aligned with the target markets? Are these products and services aligned with the market requirements? Big factors, next to price, are innovation and style. To what extent is the product customizable? What is the competitive lead-time? All these elements need to be part of a strategy. The more product customization, the shorter the factory lead-time, and the higher the quality level, the more pressure there is to adapt to the integrated factory. The most visible impact of the internet on business is the drastic change in the distribution of goods in the market. The traditional order of Manufacturer – Wholesaler – Retailer has changed. The big-box stores have significantly eliminated the wholesalers and are going direct to the manufacturers. Now we see a rush towards online sales. The current brick and mortar model is being changed irreversibly. As much as new sales are dominated by market giants like Amazon, the internet provides opportunities to much smaller organizations to reach their customers directly. Companies must not miss this gigantic change, evaluate the possibilities, and incorporate it in their strategy. When formulating your strategy, you need to push the envelope in all key elements. Investment budgets to follow up the strategy with actions need to be set aside. The Connected Factory also often called “Smart Factories”, need smart people to implement and transition the industry. Early adopters need to be prepared to invest in leading-edge technology, organization, software and people, and accept that these investments do not have short-term payback periods. Once the objective is set and communicated, it is important that these objectives get translated into clear action items. The company needs to also align the objectives with meaningful Key Performance Indicators (KPI) to monitor the progress and any deviation(s). Even though you have set an objective, if circumstances change, the action plan, and sometimes the objectives need to be adjusted. It does not matter where you are currently on the scale of having a strategy. The important thing is you must get better at it. If you had none – create one. Start with baby steps. If you already have a system of objectives in place – make it more robust, and meaningful. Apply the system of Continuous Improvement. The most important step is to get started. We will continue to write about Industry 4.0 and the seven key areas of Industry 4.0. The next article will focus on Product in the Connected Factory.